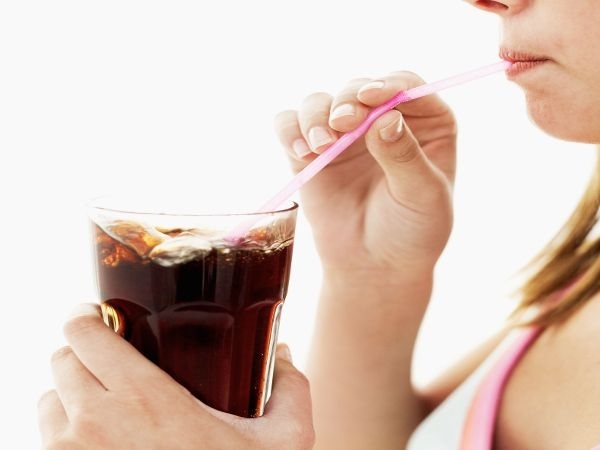 Does Drinking Coca -Cola Increases Cancer Risk? People who gulp down coca cola regularly are at risk for developing various types of cancer that is mostly life threatening. Then why is it that people still consume coco cola in spite of the risks it carries with it. According to studies it the sugary content in the coca cola that makes a person gain weight and being obese can put you at risk for cancer of organs – like – liver prostrate, gallbladder, esophagus, kidney, colorectum and ovary. But it is not right to say all cancers are caused due to obesity, even people who weigh normal are at risk for cancer if they regularly drink sugary drinks. Studies say the chemical — 4-methylimidazole (4-MI) that is used in colas that gives color to their drink is listed as potential carcinogen, by health officials in California, which increases risk of cancer. But Coca cola manufactures have always stuck to their claim that all of their drinks are absolutely safe for consumption. In recent years coca cola has announced that it would consider using low levels of 4-methylimidazole (4-MI) formula, while they still claim that their drinks has always been safe. There is this misconception that only cola drinks or sugary drinks contain chemicals content and targeting them won’t have much impact, because dark colored carbonated beverages are not the only items that contain 4-Mel.This chemical is also used in soy syrups, barbeque sauce, soups and pancake syrups, so you need to cut down on all of these products if you want to prevent cancer. Health experts believe that Food and Drug Administration need to float strict guidelines for the amount of chemicals to be used in beverages to prevent health risks. Conclusion – Any beverages carry health risks, so it is up to you to decide whether to continue consuming these drinks or just satisfy yourself with much healthier options like water and fresh fruit juices. Having said that the 4-MI chemical, which is used in colas to provide dark color, has been studied extensively in labs and the result is it has shown to cause cancer in rats, but not in humans. So in conclusion there is still lot of research to be done to prove that 4-MEI added to foods and beverages is risky for human life.